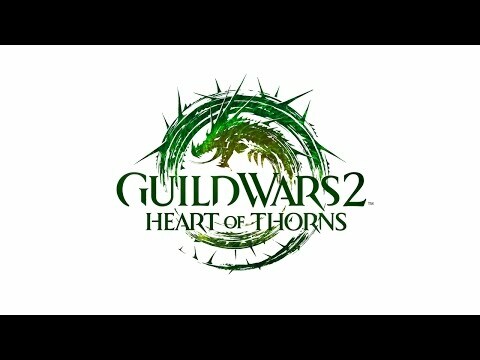 Guild Wars 2: Heart of Thorns™ - Buy and download the game here! NOTICE: no subscription fees. Requires an internet connection to activate and play Guild Wars 2: Heart of Thorns™. Tackle challenging group content, explore new open-world jungle maps, experience new events and story lines, and test your mettle in new heart-pounding boss battles. Guild Wars 2: Heart of Thorns™ is the first expansion for Guild Wars 2®. Founded on the idea that the journey is the goal, the Heart of Thorns expansion continues the Guild Wars 2 tradition of challenging the conventions of MMOs to fulfill the promise of what online worlds should be. Guild Wars 2 has received over 100 awards and accolades and has evolved since its launch to include more than 40 free content releases ranging from story-driven Living World™ episodes to special holiday events and feature packs. Guild Wars 2 is developed by ArenaNet, an award-winning developer lauded for its record of innovation and accomplishments in creating online worlds. Guild Wars 2 is developed by ArenaNet® in Bellevue, Washington, USA. This 300-person-strong game studio has a proven record of innovation and accomplishment creating online worlds.